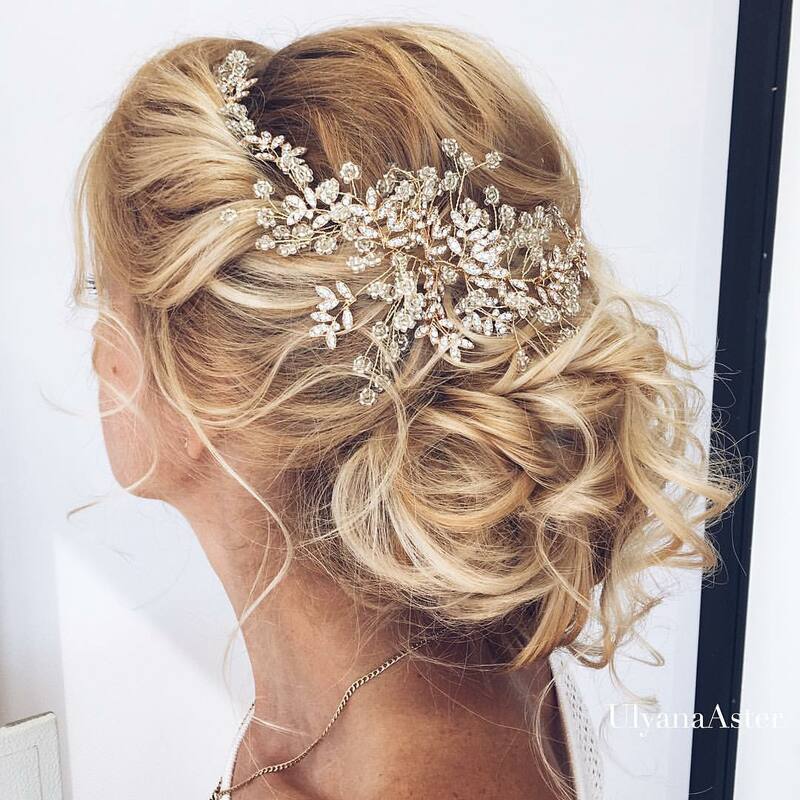 Choosing the best bridal hairdo is crucial to the success of your whole ‘look’, and this half-classic, half-trendy updo for medium length hair may be just what you need! 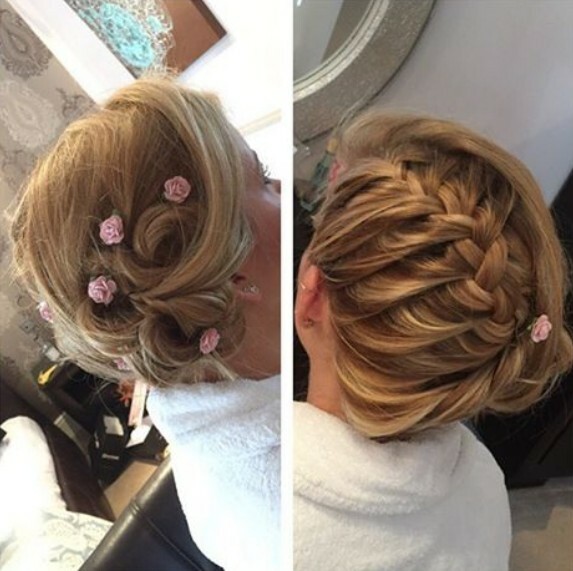 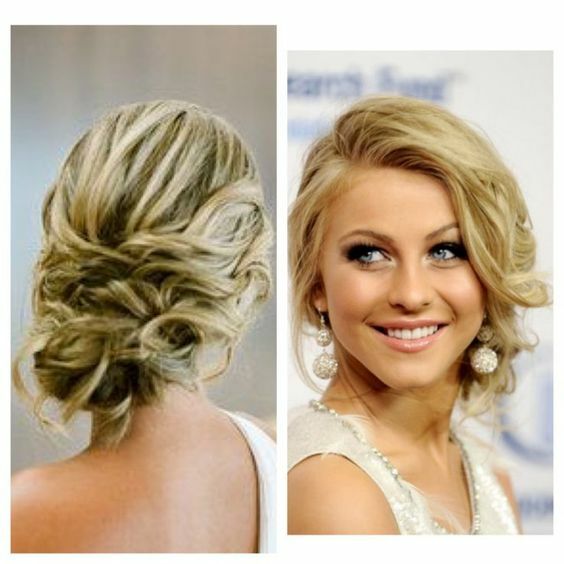 The basket-weave ‘bun’ is made from flat loops of hair showing-off lovely blonde balayage. 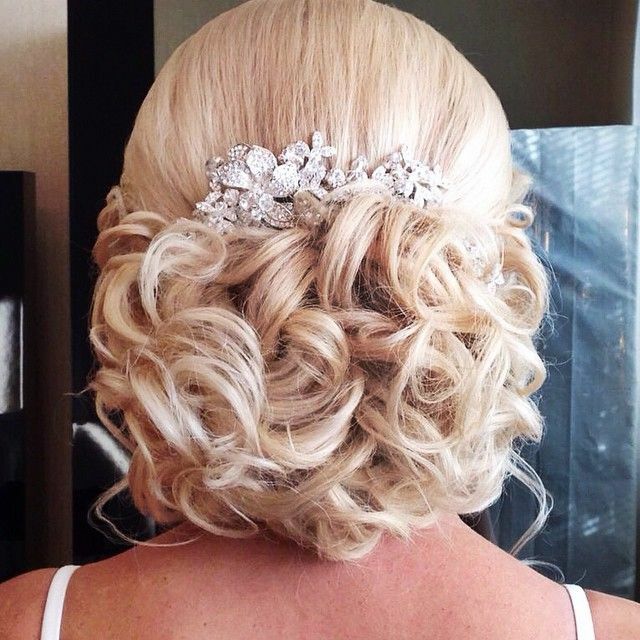 And instead of a tiara, this bride’s wearing a fashionable, diamanté hairband! 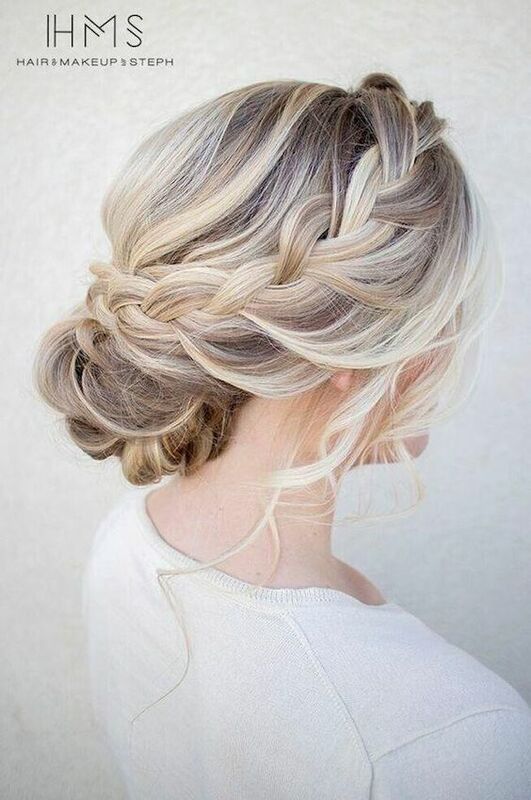 Here’s a really extravagant upstyle with a well-judged mixture of bubble braiding with fish-tail plaiting to create a fabulously shapely updo. 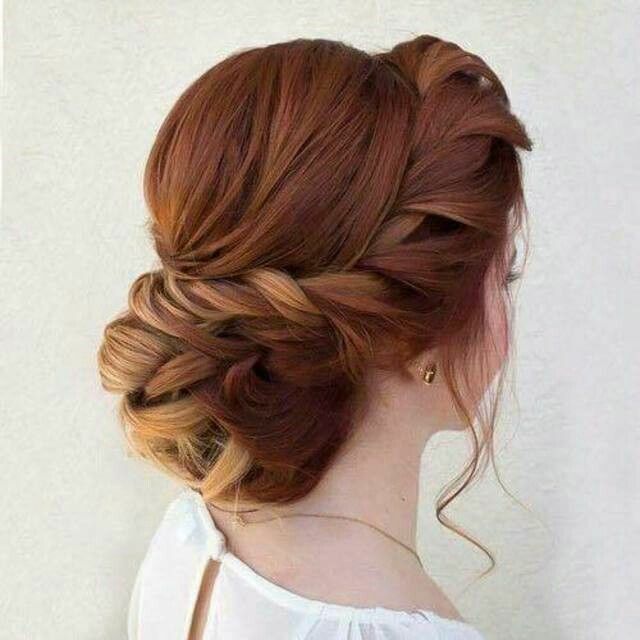 For medium length hair, you can always add some human-hair braids to get the right length and with an expert balayage in cool – coppery blonde over dark blonde roots this is definitely on my list of the trendiest updos for medium hair prom hairstyles! 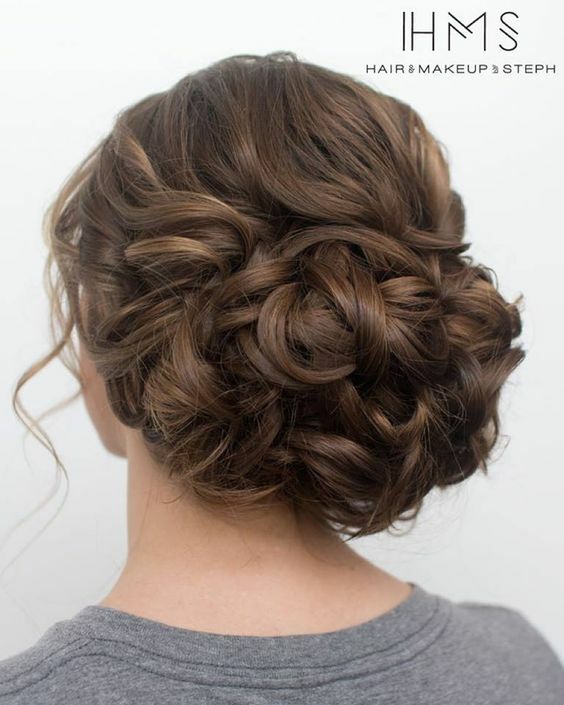 Here’s a beautiful high-fashion prom updo that’s casual enough to suit teens and young girls without making them look older than their years. 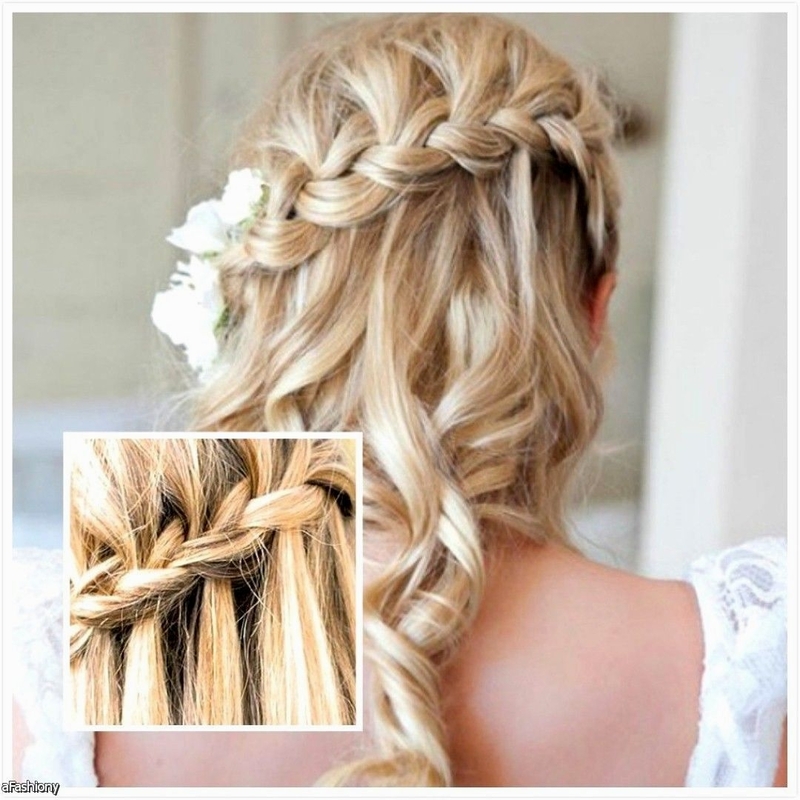 The basic idea is to create a basket-woven, flat-braid around the back, with an asymmetric fluffy puff of hair on one side. 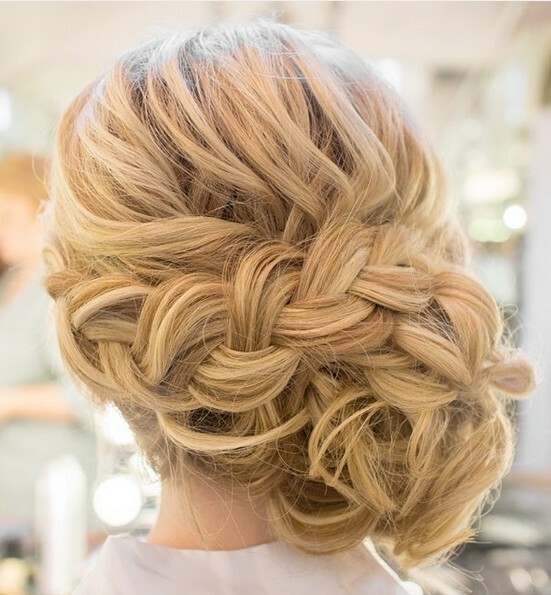 This model’s dual-blonde balayage adds to the natural, wicker-basket texture! 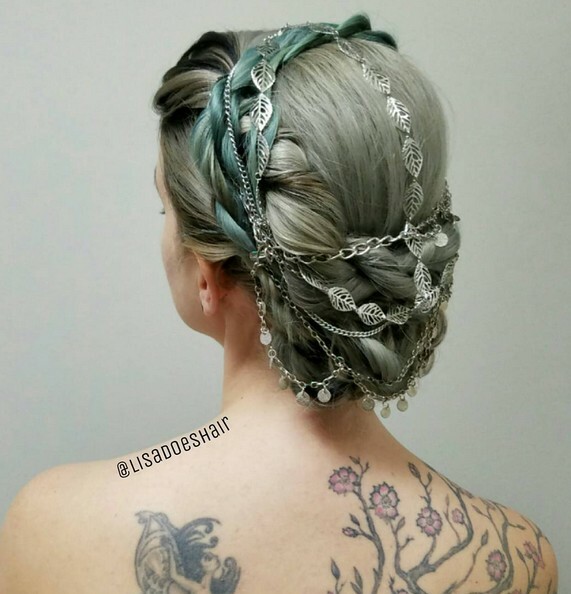 Is this green-grey hairstyle the trendiest updo for medium length hair? 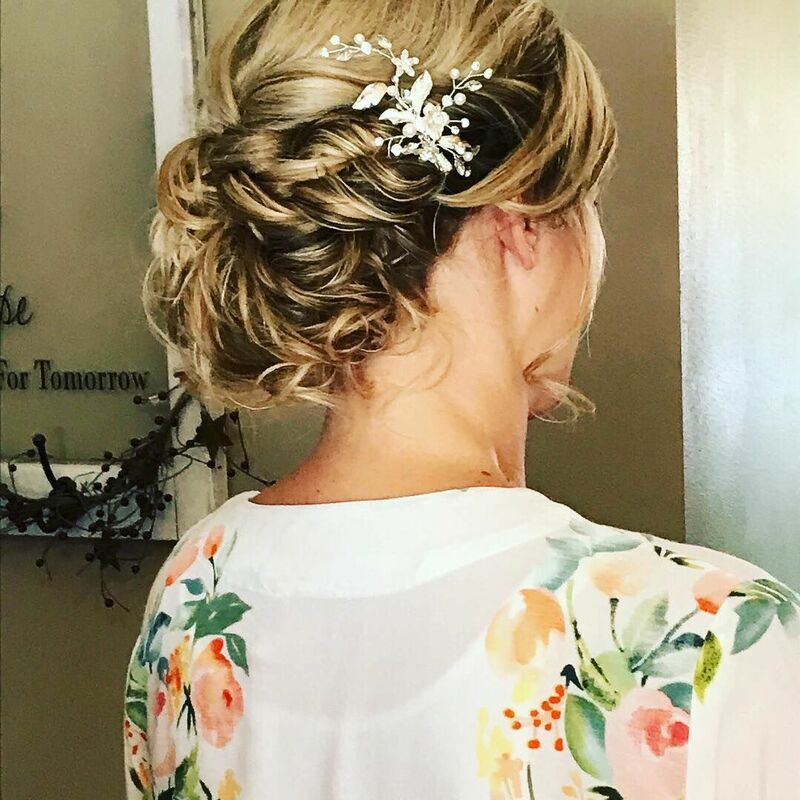 The trendiest updos for medium length hair must feature the latest hair color trends, like this grey-green semi-formal hairstyle with a cute sea-green braid as a hair-band. 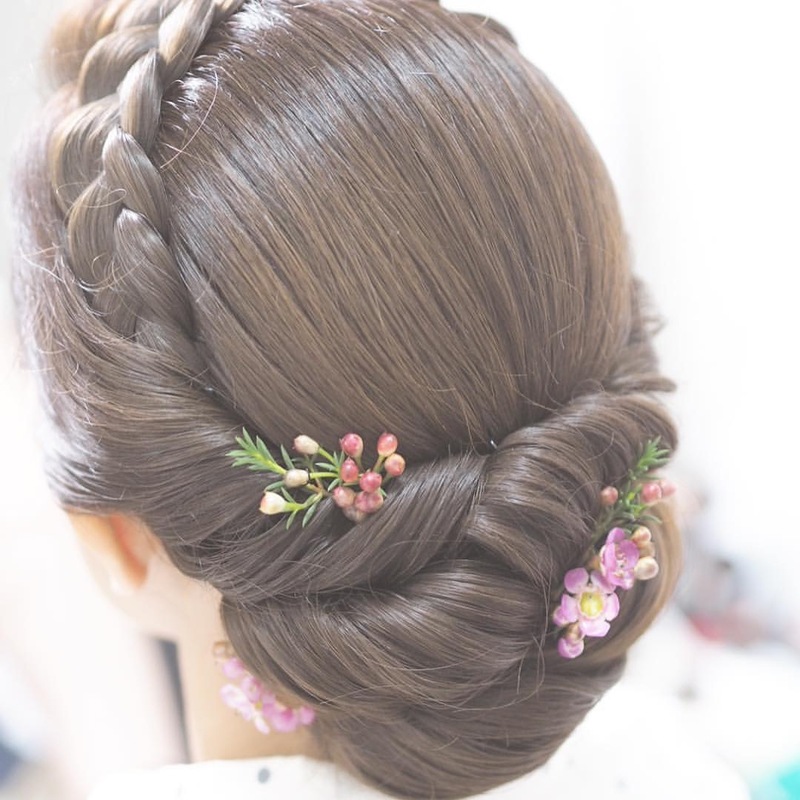 The loosely braided hair at the back has softly pulled out links for a ‘full’ rounded shape and trendiest updos for medium length hair often have cute, silver hair accessories, too! 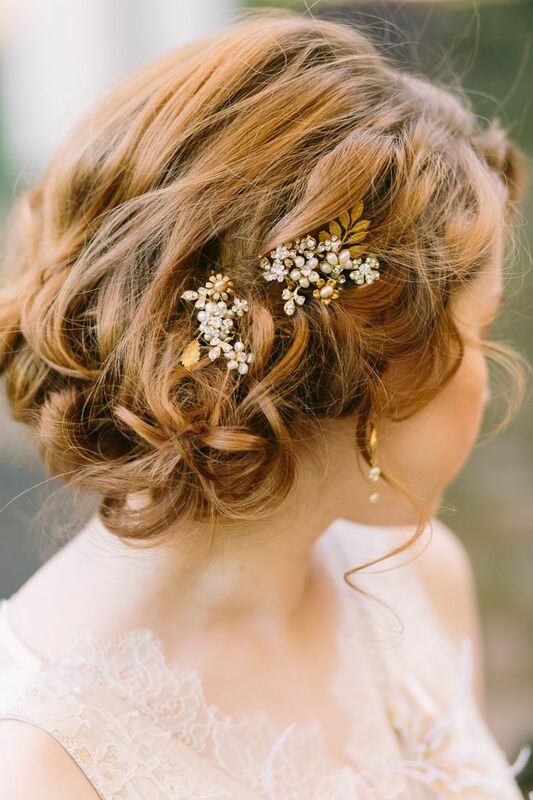 Golden shades of honey, caramel and baby-blonde create a softly, feminine pattern in the gorgeous loose braiding that adorns this bride’s head. 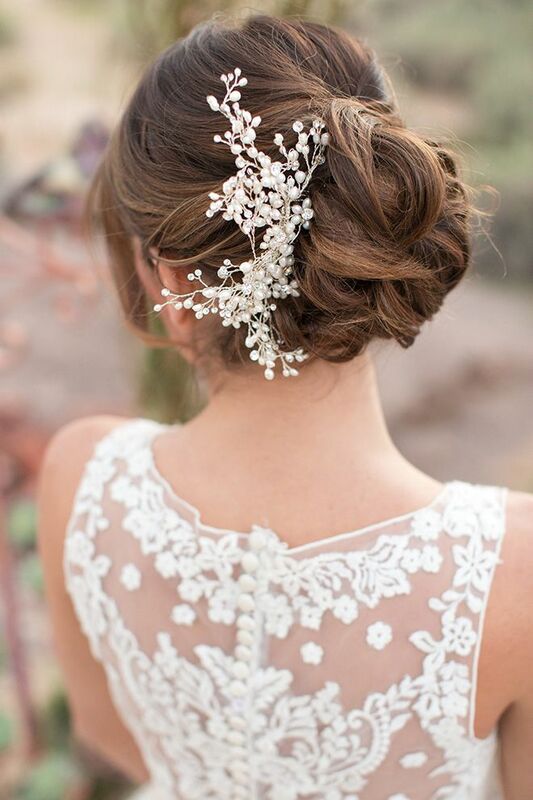 With a backless dress, the long strands curled into pretty spirals cascading down the back, add another layer of beauty to one of the most romantic, trendiest updos for medium hair! 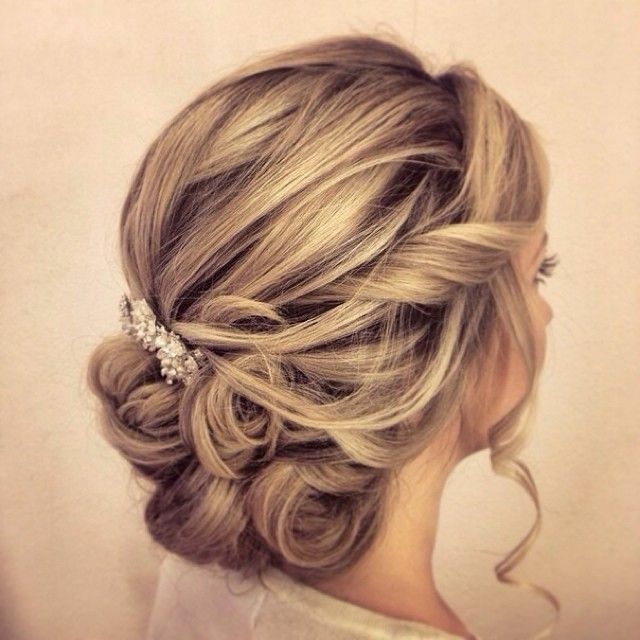 The touch of an expert stylist is apparent throughout this highly creative asymmetrical updo. 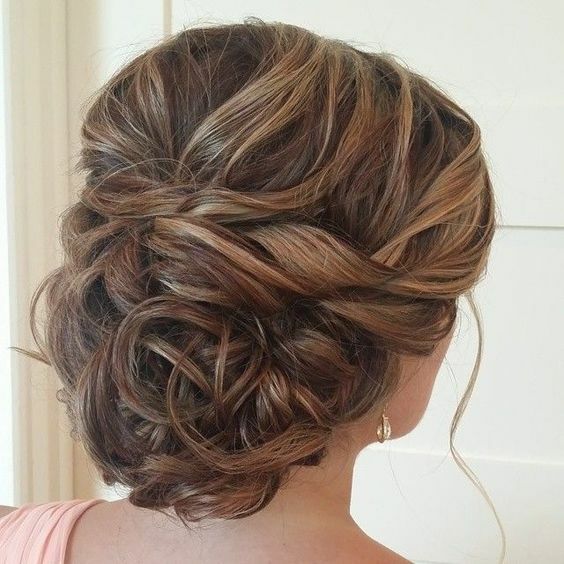 One side is braided, with lovely gold-blonde balayage accentuating the intricate pattern. 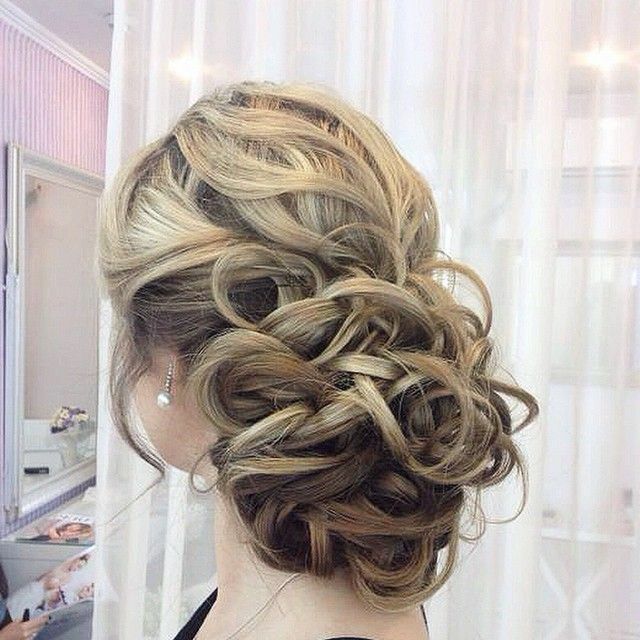 The other side is all fluid lines and pretty looped curls pinned in place. 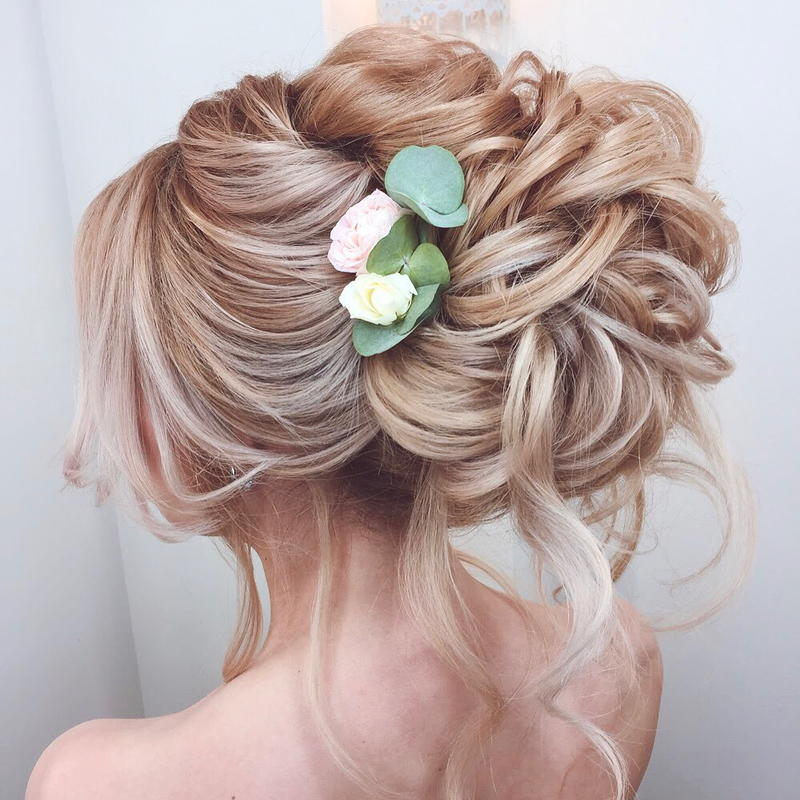 Add the cute pink rosebud accessories and you’ve got an adorable flower-girl updo! 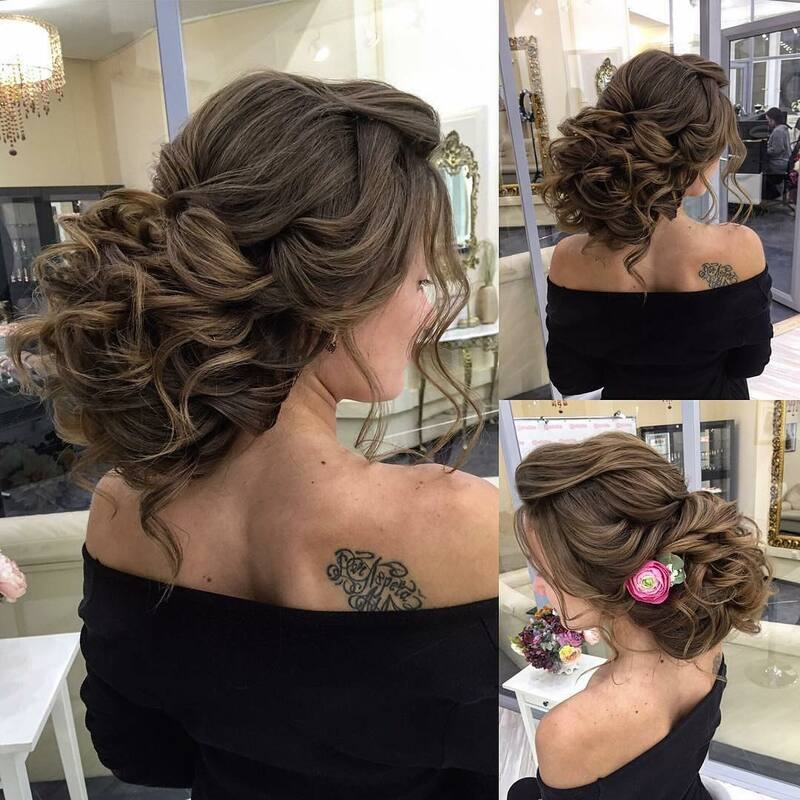 Some of the most popular hairstyles and trendiest updos for medium length hair this season are based on grey hair color trends! 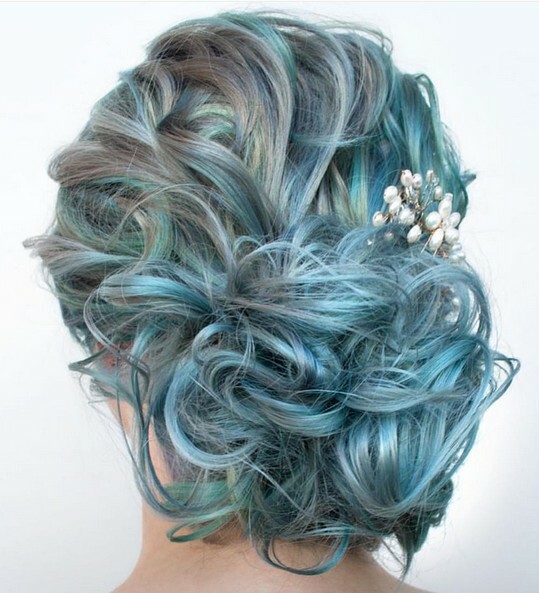 This grey updo is full of aquamarine balayage in shades just a tone or two apart, creating wonderful 3-D color and texture. 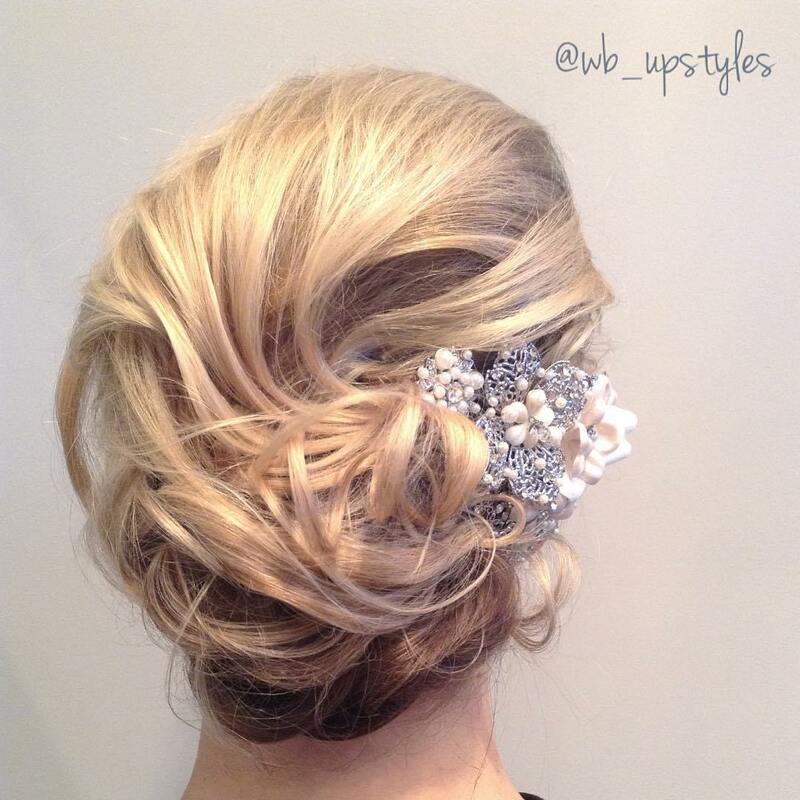 The wavy texture and fluffy low chignon with a pearl hair accessory completes this aqua/grey updo to perfection! 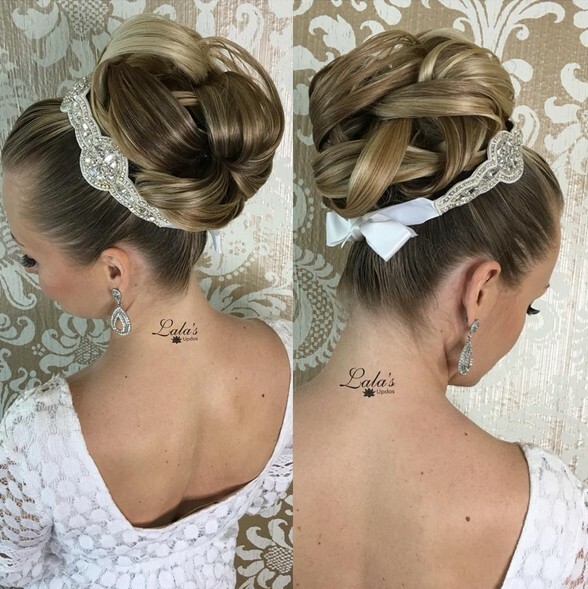 The ash-blonde mink shade of this trendy bouffant updo shows it’s one of the latest hair color ideas for 2017. 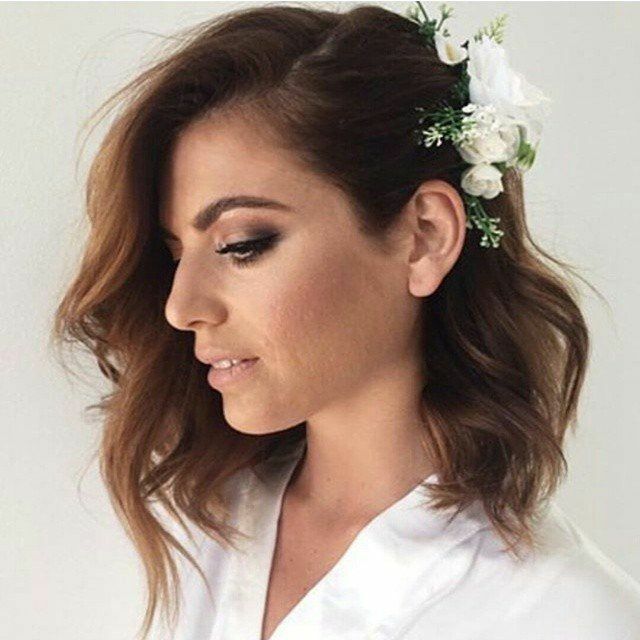 The glorious, fanned-out rolls of hair end with a cute curl at the nape in another popular hairstyles’ updo idea for medium length hair. 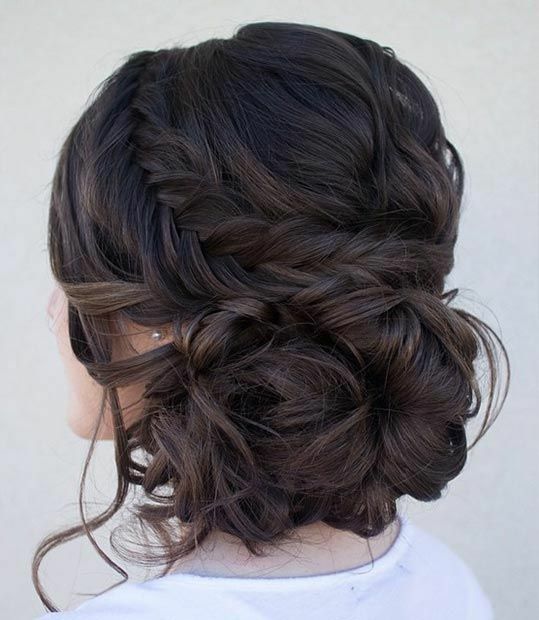 And don’t miss the hint of pink at the sides to match the manicure!